Keywords are the words and phrases used to describe your business, products and services. The factors below lead to a wide range of possible keywords for each product or service that the search engines see as unique. Google does a pretty good job of recognising synonyms and returning web pages that don't necessarily contain a search term but do contain a synonym for that term. For example, a Google search for 'new automobile' returns many results containing the word 'car' as a synonym. However, a search for 'new car' does not return exactly the same results in the same order, so Google does (at this time) still recognise them as different keywords. Keyword variations include plurals, different country spellings, common misspellings, shorthand spellings, different word orders etc. Again, Google is pretty good at recognising that these are different variations of the same word, however they still don't always return exactly the same results when these variations are searched for so we have to treat them as unique keywords. Qualifiers are additional words added to better describe or further qualify what the keyword is referring to. They can be loosely categorised as either specific or non-specific. These are qualifiers that specifically relate to that product or industry, such as brand names or a word like 'spoiler' which specifically relates to cars. These are more general qualifiers that are common across many industries such as words relating to colour, size, price, quality etc. 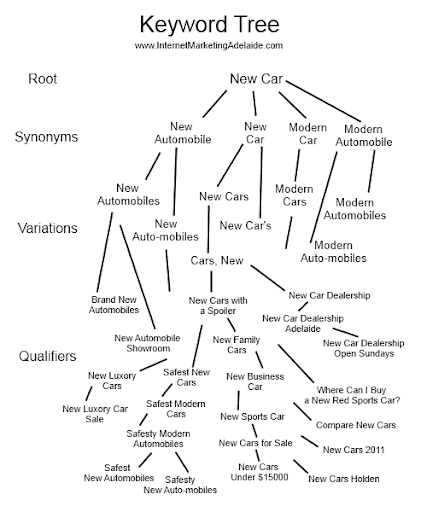 The diagram below shows how the number of potential keywords can quickly escalate when you consider synonyms, variations and qualifiers. Which Keyword Should I Use? You can try and guess which keywords will have the best combination of these three things but that will be very difficult to do accurately. To get the best results you should do keyword research to collect and analyse the data and determine which keywords will be best to target. You are targeting a small market- If there is only a small number of customers out there, you want to make sure you're targeting a keyword that has a worthwhile amount of traffic. In some industries these keywords might be obvious, but in others not so much. You are in a competitive industry- because you may pick a keyword that has such high competition that you have no chance of ranking for it. 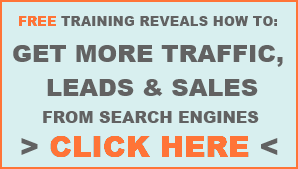 You want to get the most out of your website- Keyword research will help you get the maximum return from your website. If you decide not to do keyword research there are a few things to keep in mind to maximise your chances of success. Try and think of your products from an outsider's perspective, how might they search for them without knowledge of the industry? Remember that longer keywords (more words in them) tend to have lower competition and produce a higher conversion rate, but they also have lower traffic. Once you have chosen your keywords, you need to incorporate them into your website especially your page titles, headings, urls and content. This is known as on-site optimisation.